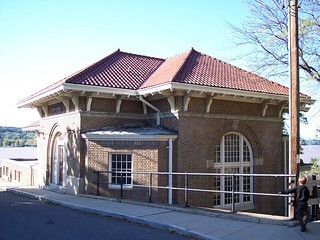 Rhinecliff's old station is still in good shape. 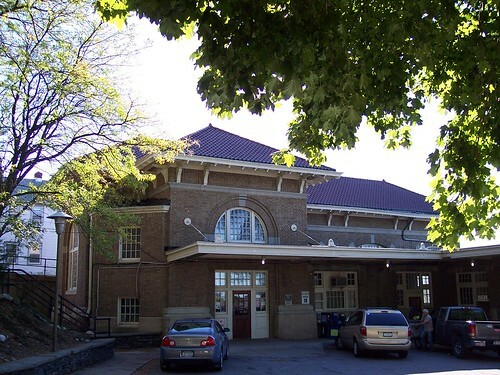 Rhinecliff has a relatively large station building built into the hillside above the Hudson River. 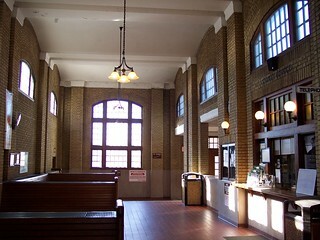 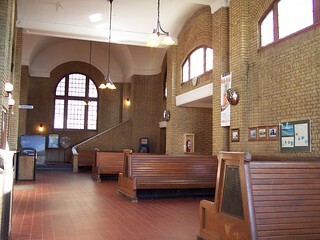 The inside of the station has the classic old benches. 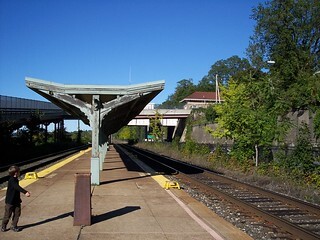 Down on the platform, half of the old canopy still remains. 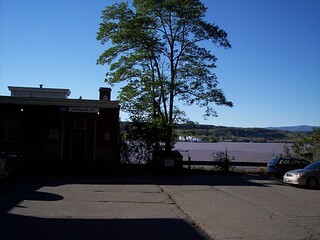 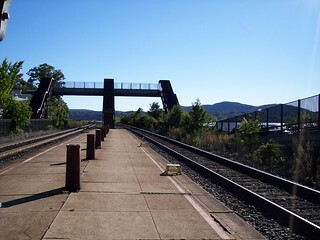 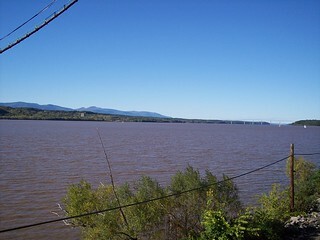 As with many other stations on this line, Rhinecliff sits right on the Hudson River.